WINNEBAGO GRAVEYARD—created by Steve Niles and Alison Sampson and first announced at Image Expo—promises to take readers on a spine-tingling road trip this June. Image Comics is pleased to reveal a selection of preview pages from WINNEBAGO GRAVEYARD #1, set to hit stores this June. In WINNEBAGO GRAVEYARD #1, an American family traveling on vacation finds themselves stranded in a small town with a sinister secret. This horror-adventure story about a family stuck on a road trip gone terribly awry is filled with creepy fairgrounds, nefarious characters, seedy conspiracies, towns full of Satanists, and a teenager. What else could possibly go wrong? WINNEBAGO GRAVEYARD draws heavily on 1970s horror films, pulling inspiration from America's dark heart wherever possible. 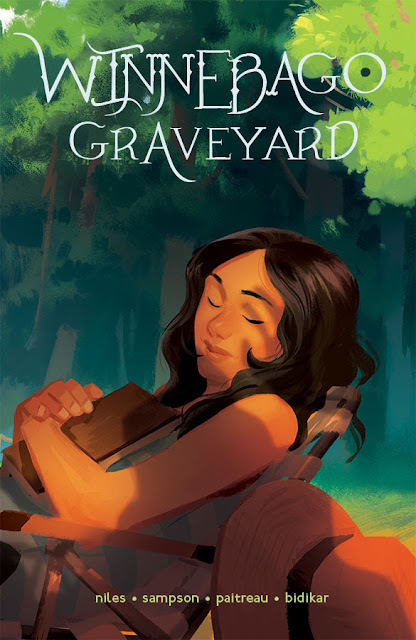 WINNEBAGO GRAVEYARD #1 Cover A by Sampson (Diamond Code APR170723) and Cover B by Mingjue Helen Chen (Diamond Code APR170724) hit stores on Wednesday, June 14th. The final order cutoff deadline for comics retailers is Monday, May 22nd. An American family traveling on vacation finds themselves stranded in a small town with a sinister secret. "I really loved Winnebago Graveyard. 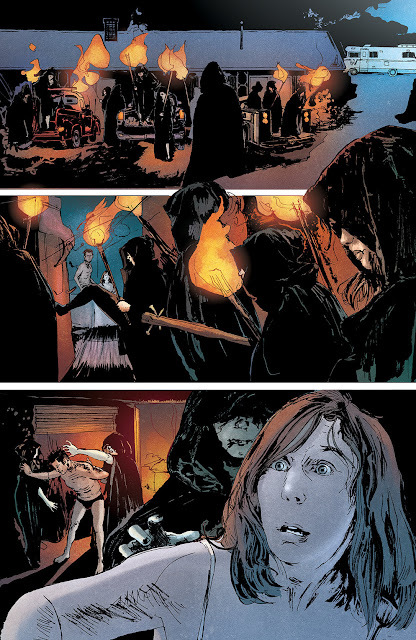 Smart and creepy horror by Steve Niles and eerie art by Alison Sampson. Niles at his horrific best." "Winnebago Graveyard is beautiful and eerie and sinister as Hell. If Ray Bradbury went for grindhouse thrills, I think we'd get a story like this." "A creepy, atmospheric start to the book with great, textural art by Alison. This is a book you can really 'feel'... I look forward to reading more." 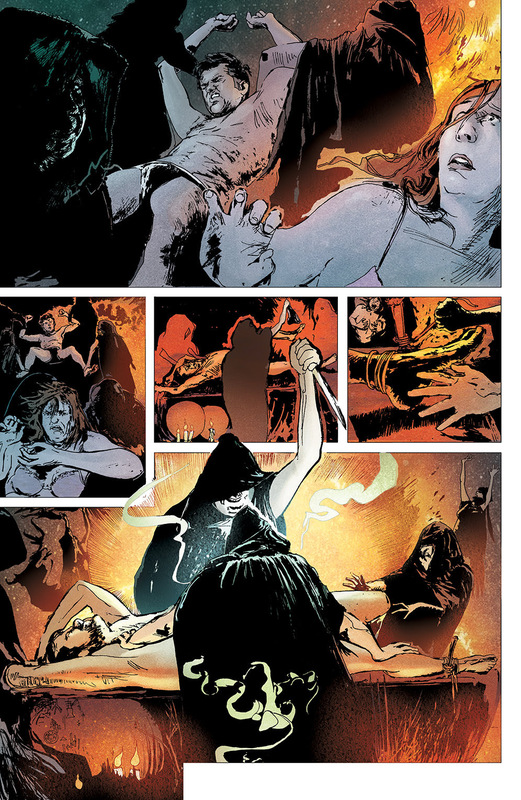 "Steve Niles is perhaps my favourite writer working in comics these past 10 years and Alison is the perfect partner-in-crime for him, the heir to Bissette and Totleben with all her beautiful, real-life sketchiness. My favourite book of this year by a mile." "This looks SO fantastic! I’m so excited to have been able to contribute." "Gloriously creepy & immaculately realised, a truly impressive piece of work." "I checked out Winnebago Graveyard... and it was gorgeous creepy awesome. Highly effective stuff. Loved it." "Really really dug the '70s horror movie vibe of Winnebago Graveyard by Steve Niles and Alison Sampson—I am very much hooked! Great series!" 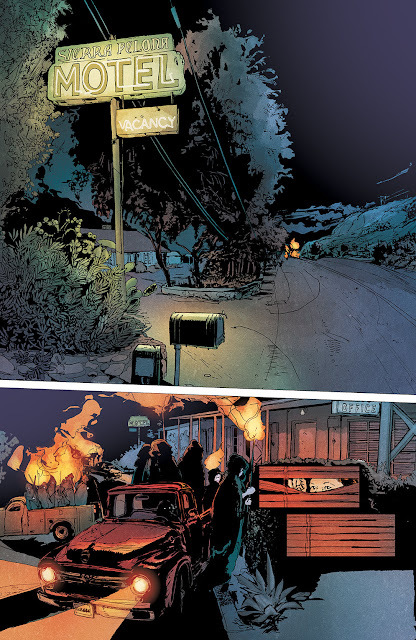 "With Winnebago Graveyard, Alison Sampson and Steve Niles have beautifully summoned the visceral horrors lurking within America, and I am enthralled." 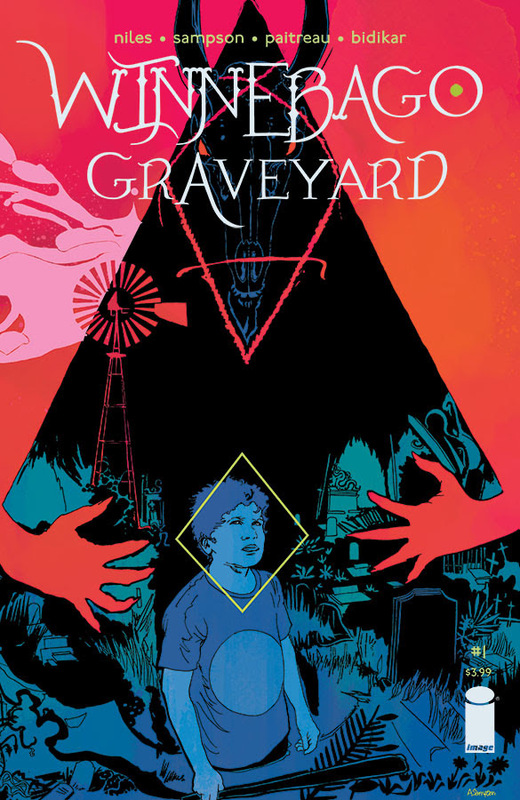 "Winnebago Graveyard is beautiful, grotesque, and scary a must read for horror fans." "Winnebago Graveyard... is scary as Hell. Get on board!" "Winnebago Graveyard... where Alison Sampson continues to the sort of poetic hyper-realism of her work (I always think of Arthur Ranson, who is a big deal to us British). 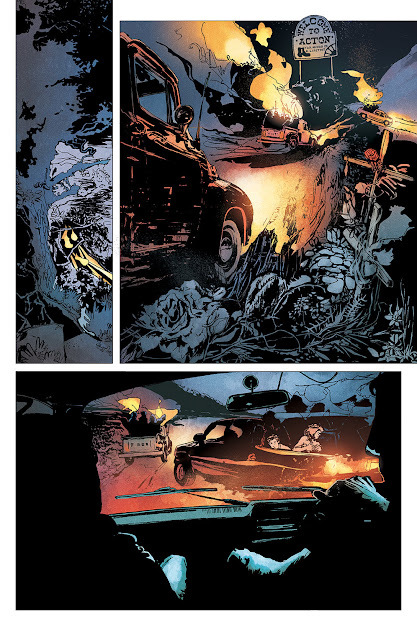 Steve Niles' story of slowly approaching horror is turned stately, rather. This is measured, and precise, lulling you into its rhythms. I like it." "Steve Niles is at it again, finding a way to take what could be a normal day with the family and turning it into a nightmare on so many levels, featuring hauntingly beautiful artwork by Alison Sampson that sets the tone from page one. Winnebago Graveyard is the start of a wild and twisted ride."